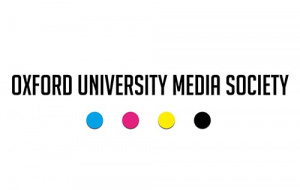 The Oxford University Media Society (OUMS) has been re-established after a break of four years by second year St Hugh’s student Theo Davies-Lewis; Univ’s Master, Sir Ivor Crewe, and Univ Honorary Fellow, Christina Lamb OBE (1983, PPE), are amongst the impressive roster of Patrons supporting the initiative. 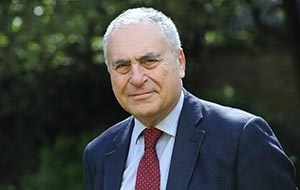 Commenting on the renaissance of the society, Theo Davies-Lewis says: “Re-launching the Oxford University Media Society has certainly taken a huge amount of time and effort, but the response we have had so far from media industry experts from all across the UK has been humbling. Patrons such as Sir Ivor contribute a huge amount to the society, not only validating our mission but also practical and professional support. “Sir Ivor’s background in political theory fits into our own ambitions in highlighting the close connections between media and politics, and therefore the need to stimulate debate and engage with ideas and people. For his part, the Master adds: “I am delighted to support the launch of the new Oxford University Media Society. It’s important that we all develop a better understanding of a media that is rapidly changing. The Society’s programme plans are exciting and innovative and I wish it every success”. With Channel 4 News broadcaster and journalist Jon Snow, and former editor of The Guardian, Alan Rusbridger, in discussion at the launch event (27 April) the Trinity line-up also includes Dara Nasr, Managing Director of Twitter UK, Mary Hockaday, Controller of BBC World Service, and Farrah Storr, Editor of Cosmopolitan. Univ wishes the OUMS every success.